Montreal, May 16, 2018– MILA -Quebec Artificial Intelligence Institute is pleased to announce the appointment of Yoshua Bengio as Scientific Director. This appointment confirms the importance of his role to MILA’s development as a catalyst of the strategy to sustain and drive the AI academic research pole and to grow Quebec artificial intelligence ecosystem. As MILA’s new leadership, Valérie Pisano, President and CEO, and Yoshua Bengio, Scientific Director, will work closely with the Board of Directors to ensure MILA’s growth mission based on four pillars: training, research, technology transfer and social dialogue. “Over the next few years, MILA’s sustained momentum will act as a driver of growth for the AI ecosystem as well as Quebec’s economic development. I am convinced that Valérie and Yoshua will help MILA fulfill its aspirations together with the researchers, students, staff, Board members and partners in the Quebec AI ecosystem,” says Pierre Boivin, Chairman of the Board of MILA. Founded by Professor Yoshua Bengio of the Université de Montréal, MILA rallies researchers specializing in the field of deep learning. 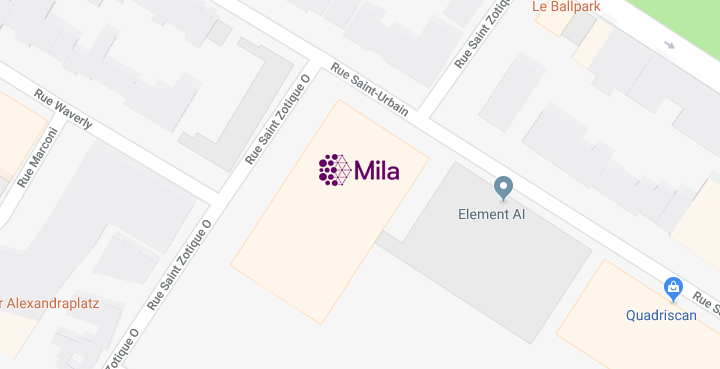 Recognized globally for its significant contributions to the field of deep learning, MILA has distinguished itself in the areas of language modelling, machine translation, object recognition and generative models. Since 2017, MILA is the result of a partnership between the Université de Montréal and McGill University, in close collaboration with École Polytechnique de Montréal and HEC Montréal.